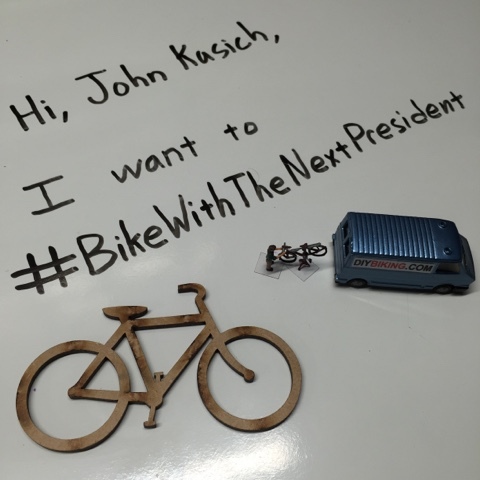 If you shake the hand of any presidential candidate ask him or her to go biking. As for me I put personalized invites on Instagram and Twitter today. The California primary is June 7. And in between is National Bike Month. 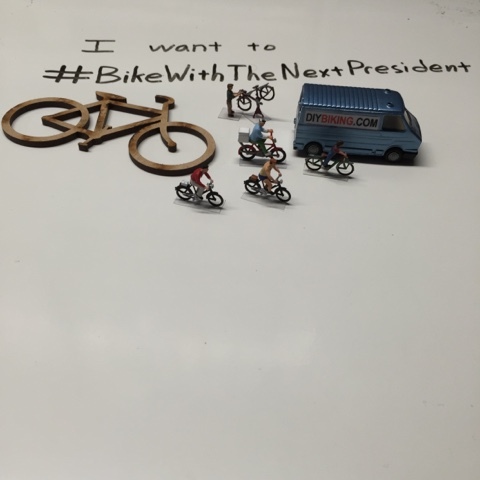 The future leader of the free world on a bicycle is an image I want to see.